A mysterious parcel arrived in the post last week. Malarkey Pty Ltd was the sender. Nothing else on the cover to provide a clue. I racked the brain, it rang a bell but no tune came through. Well I guessed I should open it and, joy of joys, a book to delight a Doggie fan of many years – The 2016 Doggies Almanac with the face page signed by the The Grand Almanacker himself – J Harms. I immediately suspected the source of this surprise; my old work colleague and friend Sasha Lennon was surely behind it. A dedicated Almanacker he had invited me to a couple of Almanac launches in recent years. So thanks Sasha and John plus the many minions of Footy Almanackers who made it happen – brilliant! Naturally this stimulated the commitment I made to myself at the end of 2015 to become an Almanacker. Sadly and regrettably I had failed to follow through on that and I missed being an Almanacker in the Year of the Dog. If I’d done so it would have been another wonderful dimension to the 2016 year of wonders for Dog supporters. But then again, how much higher than Cloud 9 can one fly? Unless of course you are Liam Picken. How much further can one go than a journey to infinity? Unless of course you are Tom Boyd snaffling a spillage from damn Franklin and slotting it through from 60 (or was 70 or 80) metres out in the last quarter. How much sweeter can anything be than a Premiership after 62 years? Unless of course it’s the Dogfather calling Uncle Bob to the dais and giving him his medal…tears of joy, hearts a flutter as we watched, as we soaked it up, as we rejoiced. I shared the day with my old footy mate from Hallora-Strzelecki, Jeff ‘Spider’ Phillips. It was his 69th birthday. That simply put another layer of sweetness on the day. As an aside, it was Spider who converted me to the Bulldog camp after an early flirtation with Collingwood; so thanks Spider. 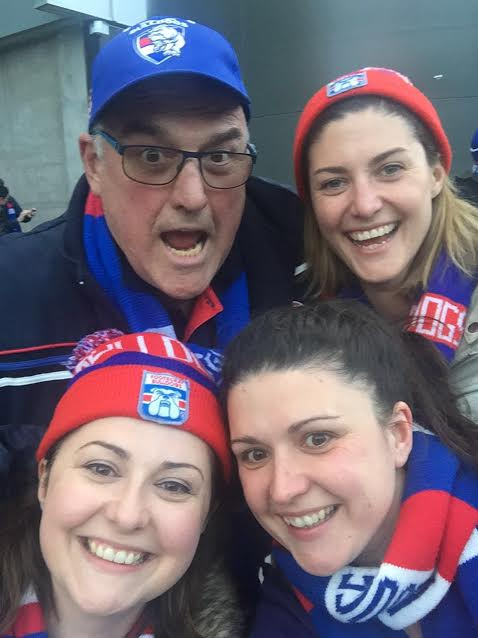 And due to a stroke of luck through another mate, I was able to get extra tickets to the Grand Final so my three Bulldog supporter daughters could attend; they were beside themselves with excitement and overcome with joy at the final siren. Jeez Louise what a day! 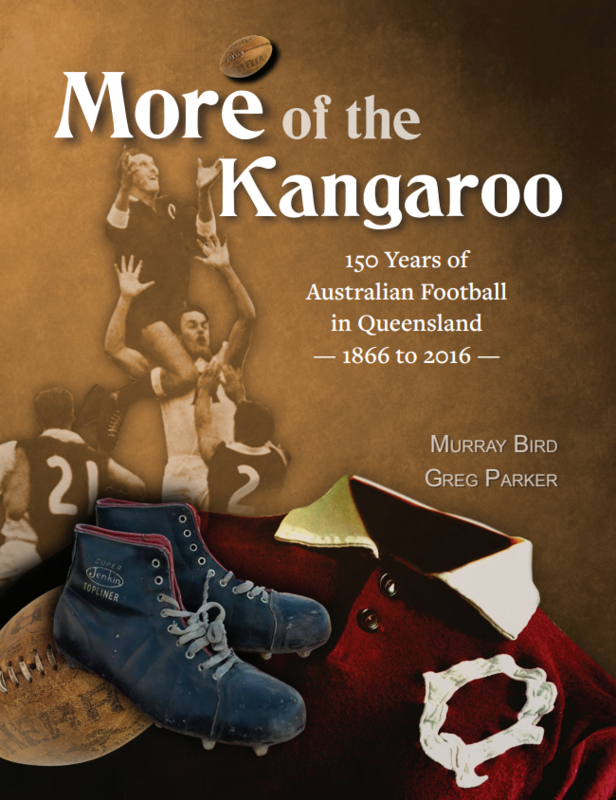 Spider and I played at Hallora-Strzlecki in the Ellinbank District League in the late 60’s early 70’s. 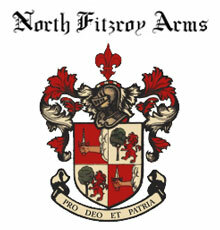 It was the golden era of the club which has now folded. 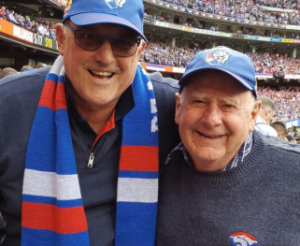 We shared financial crises, end of season trips to the night footy at South Melbourne, many pie nights and Premierships – beautiful, glorious premierships. 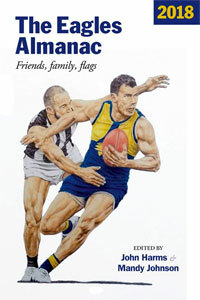 And in 1969 the club won 7 flags – three football and four netball; a 7 from 7 effort. Spider was good. He could fly like Picken but kicked like a cow. He ended up as a brilliant centre half back. 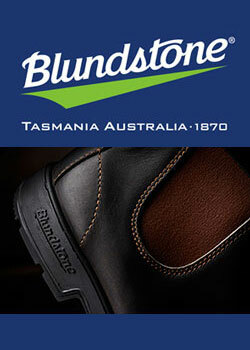 By contrast my highly unpromising footy career came to a dismal end in the Hallora mud. As I leapt ‘high’ on the mark to smother a Poowong free kick my ACL snapped. Well, it wasn’t called an ACL in those days “it’s a torn cartilage son, when you sit down after dinner each night tie a brick to your slipper and exercise for at least half an hour then get out on your bike each day and ride around the hills” “Thanks, Doc will do”. Sagacious advice, it never mended the ACL but it did strengthen the knee such that I played again – a bit. But I digress too much, what relevance does this personal reach-back into history have to the brilliant Dogs of 2016. Well it underlines personally, the romance of the Doggies Premiership and the fact that I shared it with a great mate. The pure joy was much like what Spider and I had experienced 50 odd years ago. Believe me if you’d written the script as it unfolded in 2016 for the Dogs and taken it to a producer you would’ve been told to go away and get real. The team were an irresistible force, a team of believers, a team. The won because they believed in themselves. Bob Murphy played on this ground in his junior days and referred to it as a dung heap; he’s been forgiven. 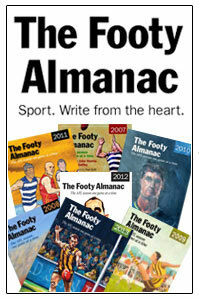 Buy a copy of The Doggies Almanac. Come to the launch of The Doggies Almanac on Wednesday, Dec 14. A great contribution to 2016. The Doggies Almanac will live on on my bookshelf and will be retrieved with monotonous regularity. Couldn’t wait til Wednesday and the launch – saw The Doggies Almanac in Readings and bought it. What a terrific read. It gives us back the whole season with smart, humorous and passionate writing – game by game. Very proud to be a part of it. Ian, congratulations on Bulldogs’ second flag in 2016! I’m a St Kilda supporter and followed Doggies in the final series in the 2016 season. It was wonderful to see your Dogs rising up from the 7th on the ladder at the home and away season to the top. I was worried of the first week in final as played at Subiaco, but you did very well and gained fever. I enjoyed the September footy in 2016. Why not keeping faith and contributing writing stories? It might already be the new era at the Whitten Oval. I never stop writing and do keep the faith for our second flag.